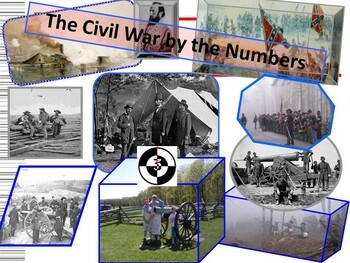 “Civil War, by the numbers” –uses statistics from the Civil War to introduce the class to the unit. The numbers always lead to a story. “ 2” times Wilbur McClean moved during the Civil War. The first time, his farm was destroyed during the Battle of Manassas. 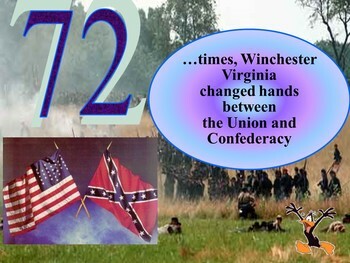 He moved to Appomattox, Virginia, where Lee and Grant signed the surrender in his house. “4” which is the number of brothers Mary Todd Lincoln had, and they all fought for the Confederacy! 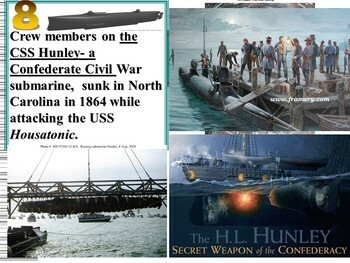 “17” … miles long which was the length of the Confederate wagon train, as they moved south in retreat from Gettysburg, with wounded , dead and sick. 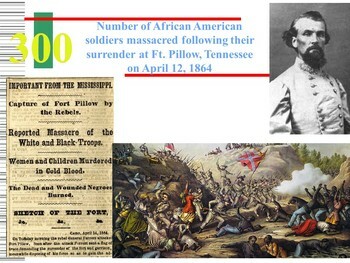 Great way to introduce the Civil War. High interest, and it keeps the attention of the class. It works!